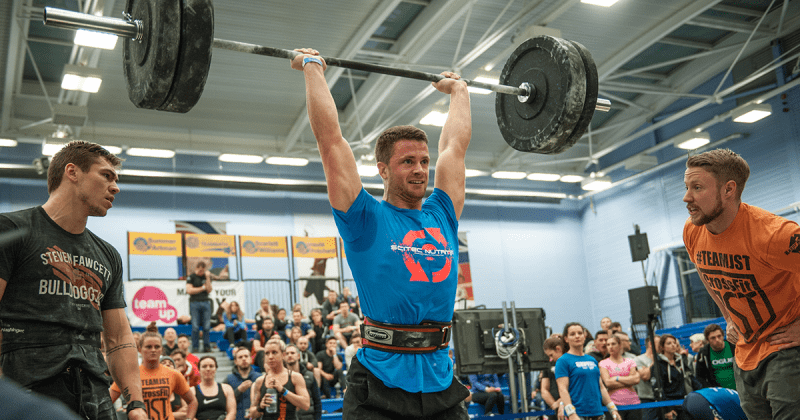 As possibly the most hotly-contested of the 2015 CrossFit Games, the European (Meridian) region has former champions, possible future champions and the first ever British male athlete to win the Open. Trying to bet on who will qualify is a tough call, and in the last couple of years, those choices have been slim. This year, we’ve seen both an improvement in the level of regional competition, and the rise of some athletes in with a legitimate chance of a top 10, or even top 5 finish at the Games. CrossFit JST’s Steven Fawcett has been a popular name at events in the UK for a few years, and although we didn’t see him at The Athlete Games in January, we certainly saw him during the Open. Steven had four top 5 finishes over the six Open workouts (including workout 1 and 1a), and is now a serious Games contender. It may have been a couple of years since she took the top spot at the Games, but Iceland Annie, who now trains out of CrossFit Union Square in New York, is determined to prove that she’s the fittest on Earth. Annie took on all newcomers to the European region and won the Open true to form, flashing her trademark smile on the CrossFit Games Update Show. If anyone can challenge Annie at Regionals this year, it’s 22-year-old Sara Sigmundsdottir. Sigmundsdottir has been destroying competitions in Europe over the past year, and she secured an incredibly tight 2nd place in the Open with her charismatic and aggressive style. The experts are sure that Sara is a shoe-in for the CrossFit Games this year, and if you’re on the floor competing with her in Copenhagen this weekend, bring sunscreen – it’s going to get hot. Aegidius finished 4th in the Open this year, and 4th at Regionals in 2014. His consistently high performances among the growing pool of talent, puts him in a good position to do well at Meridian Regional this year, and perform solidly at the CrossFit Games. Has training in the US with partner Annie Thorisdottir upped his game any more? We’ll find out. A complete unknown in 2014, finishing outside of the top 6,000, Northern Ireland’s Emma McQuaid shot to the top end of the leaderboard this year, taking 6th place in the European Open. McQuaid’s incredible rise is testament to her hard work and talent, and we should expect a solid Regionals performance from her over the weekend. Taking 1st place at the European Regionals in 2014 at just 19 years old, we already knew that Finland’s Jonne Koski was serious business. His second place finish in the Open this year makes a repeat trip to the Games a strong possibility. Koski is a hard worker, and sometimes sports a pretty decent mustache. Look out for him over the weekend in Copenhagen. A smiley athlete who loves to train, Davidsdottir has some serious business to deal with at Regionals this year. The 22-year-old Icelandic athlete tied with European champion Annie Thorisdottir in two workouts at the 2014 Regionals, and her determination earned her a 4th place finish in the Open this year, ahead of fellow Icelander, Bjork Odinsdottir. Davidsdottir is out to win in 2015, and will be throwing down hard in Copenhagen. Guðmundsson is no stranger to big stage competition, having competed for Team Europe at the CrossFit Invitational in 2014. A proven big lifter, Guðmundsson will be a tough one to beat at Regionals. Here he is jerking 160 kg (355 lbs) with a casual Steven Fawcett playing it super cool in the background. Despite his playful nature and damn fine biceps curls, Lukas is a legitimate beast who could be tearing up the Games floor come July. As one of only a small handful of Spanish athletes competing at Regional level, Elia Navarro has been impressing at competitions with some phenomenal displays of strength. Navarro finished 7th in the Open this year, and if she has a good weekend, cannot be counted out for a shot at the Games. Good luck to everyone competing at Regionals. Who did we miss? Let us know in the comments.